KUALA LUMPUR, Tuesday, [11 July 2017]: Bank Islam Malaysia Berhad (“Bank Islam”) has won the title of Best Islamic Environmental, Social and Governance (ESG) Bank at The Asset Triple A Islamic Finance Awards 2017. Notable for being the first of its kind ever awarded by The Asset publication, the award puts emphasis on the ESG components guided by the principles of Shariah. This notable success reflects the Bank’s commitment to becoming a responsible financial entity, and upholding its social and environmental responsibilities. The Bank supports infrastructure projects that involve planning for and securing sustainable resources for the country, such as environmental-friendly waste management business. It also provides green financing to deserving projects such as hydroelectric and solar farms. Encik Khairul Kamarudin, Chief Executive Officer of Bank Islam said the award is a great endorsement of what Bank Islam has been doing and achieved over the years. “It is a great honour to be recognised by The Asset for the work that we have done, and how we set about ensuring that what we do is always right by our stakeholders and of great benefits to them”, Encik Khairul said. “This award will provide further impetus for us to continue deliver the responsibilities that has been entrusted on us, in ensuring that we prosper together with the society and make a meaningful contribution to the nation. As Bank Islam position itself as a Value-based Intermediary that is set to transform the Islamic financial landscape, the needs for values already embedded into our institution such as inclusive financial offerings, greater transparency and proper governance are even more crucial”, he further explained. 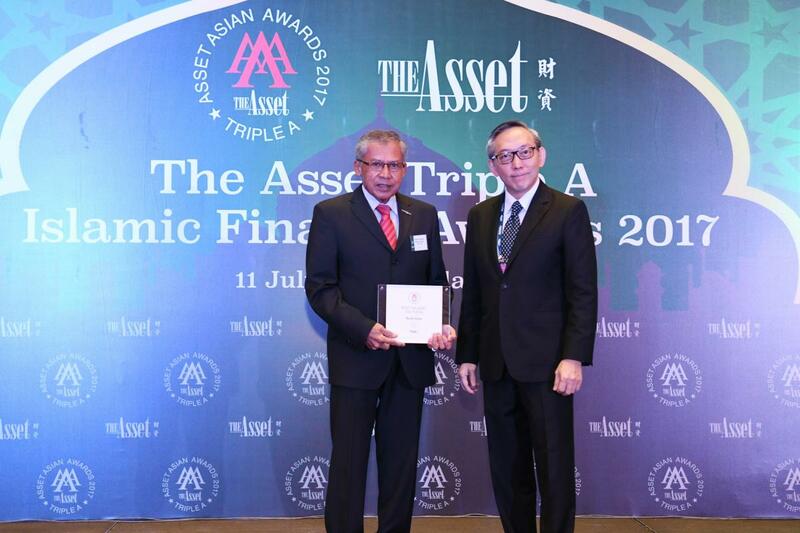 The Asset Triple A Islamic Finance Awards, organised by The Asset publication, are one of the premier awards for Islamic Finance in Asia’s financial industry. Adopting a rigorous approach in selecting the best Islamic banks and houses and transactions in the various countries in Asia, the awards remain the benchmark for the industry. Bank Islam Malaysia Berhad was established in 1983 as the nation’s first Islamic bank. To date, the Bank has a network of 147 branches and more than 1200 self-service terminals nationwide. To meet the diversity of the public’s financial needs, Bank Islam offers more than 70 Shariah-based banking products and services which cater to Muslims and non-Muslims. For more information on Bank Islam products and services, visit www.bankislam.com.my or call Bank Islam Call Centre at 03-26 900 900.